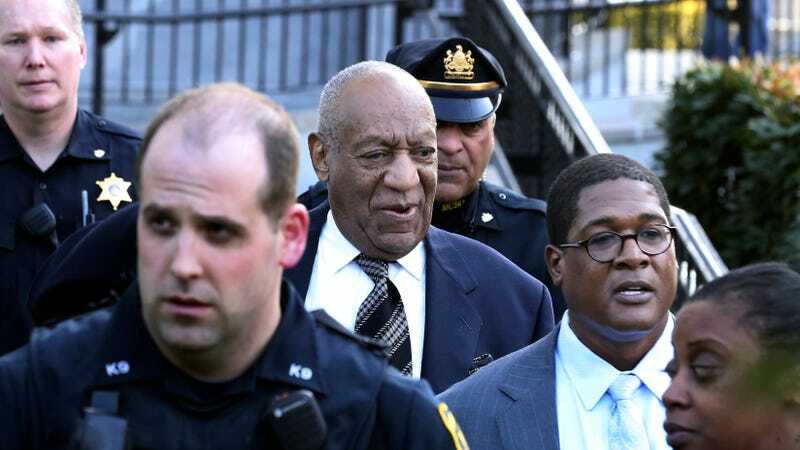 Over a decade of 60 well-publicized allegations of heinous sexual crimes by women he’s called liars, extortionists, fame seekers, defamers, crazy, scorned lovers, and gold-diggers later, Bill Cosby’s lawyers seem to be having a tough time finding impartial jurors. On Friday, they filed a motion asking that the judge remove a juror who was allegedly overheard saying “I just think he’s guilty, so we can all be done and get out of here,” according to Page Six. During a three-day jury selection process, Cosby’s team tried to weed out jurors who might be “influenced” by having heard about the #MeToo movement, countless other reports of sexual assault within the entertainment industry, and having been or knowing someone who has been the victim of sexual assault. The question hung in the courtroom like a rancid fart. Wild guess. An alternate juror was selected despite admitting that she thought he was guilty but promised to remain impartial. This image of Kendall Jenner reviewing a document is EXACTLY what I look like blogging, twinsies. Jk, this is closer (in attire only, sans body-ody-ody). Jared Leto has set out, as promised, with a fresh set of undies on his daring cross-country hitchhike/promotional stunt for 30 Second to Mars’ new album America. Today he’s walking across a truck, captivating onlookers. He doesn’t seem to have packed hair products. One hopes he will he meet The Man of the Woods for replenishment. BUY THE ALBUM so he can stop doing this. Kate Hudson has announced she’s having a baby girl! And by doing so, she has deprived TMZ of its beloved Bump Watch.